However, new studies show that there definitely is some room for enhancement. As per a study for IBM, an average company tests less than half of the mobile applications it builds. Another 33% have never tested their applications for security before floating it in the market. This inequality could expose the data of the users to cyberattacks, which could empower the hackers to gain access to the treasuries of the personal and corporate data of the users. 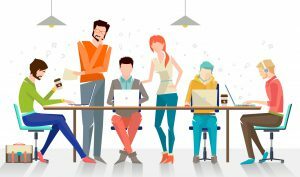 Companies in huge numbers have adopted the BYOD (bring your own device) policies and 55% allow the employees to use and download the business applications on their personal devices. In addition to this, 67% of the companies allow their employees to download non-vetted applications for their work devices. Mobile malware exploits the bugs or the vulnerabilities in the coding of the mobile applications. 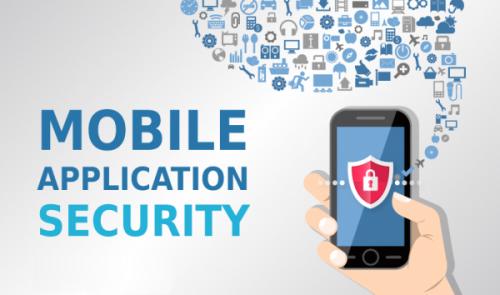 Applying the best practices to mobile application security, can help in making the mobile application resilient to such an attack. It is also very important to analyze the code from third parties, or any application that is allowed to coexist on the devices used by the employees. In such a case, the executable needs to be scanned. This concern arises out of a growing trend of hackers to create fake application versions. Hackers can obtain a public copy of a mobile application, engineer it in reverse, place the malicious code in it and then re-deploy it in the market. Unsuspecting victims, then download and use the app, leaving their personal information and credentials exposed to the hackers. The security of an application is deeply impacted by the underlying security of the devices. An indiscreet device is one that has been adjusted by its owner or an unauthorized application to surpass the operating system security, in turn allowing the installation of any app and from any source. Such devices, known as rooted or jail broken devices are vulnerable to mobile malware. While many organizations prevent such devices from accessing the company networks, the jailbreak technology is surfacing to dodge this detection. Even worse, the attackers using mobile malware don’t just rely on a jail broken device to facilitate the fraudulent activities. Users who allow excessive permissions for the mobile applications, though often by default, also provide a path for the malware to access the basic services like SMS. To address these concerns, it is mandatory for all organizations to adopt technology that allows the device risk to be incorporated into the mobile application structure and detect mobile malware. Let’s say, if an application is to execute a complex transaction and the device is jailbroken or rooted, then the app may elect against executing the task. Fundamentally, by making applications ‘device risk-aware,’ organizations can confine certain functionalities, eliminate sensitive data, and avoid access to the organizational resources. Organizations should look into ways to test the security of the underlying device vigorously because the risk hosted by conceded devices is an often a disregarded aspect of mobile security. When mobile applications access the data, their documents are often stored on the device itself. If the device is lost, or if it is shared with non-business applications, the probability of the data loss is intensified. Businesses should develop a selective remote wipe capability to erase the sensitive data from the lost, stolen or otherwise compromised mobile devices. Restricting this sharing of the organizational data with non-business applications can help prevent leakage of data. Mobile applications are built to work together with backend services. For instance, mobile banking applications allow the customers to transfer money to third parties, which mobile CRM applications enable the salespersons to update their forecasts and access the critical account data. 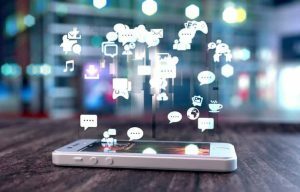 By using the context and factors for mobile app security risks, it is possible to prevent or restrict the access to the organizational systems and delay the execution of the transactions. In fact, as per a survey, it was concluded that only 52% of the North Americans have used mobile payments till date; with just 18% using them often. • Just 23% of the surveyed experts said that they believed that mobile devices are secure enough to keep the personal information safe. • 87% anticipated that an increase in the mobile payment data breaches over the next year. Regardless of these concerns, there is no stoppage in the growth of mobile usage. It is projected that by the end of this year, there will be around 4.77 billion mobile phone users globally, so it is imperious that we resolve the security concerns relating to new payment technologies. The hackers are persistent and can amend their techniques to breach the payment technologies. Whether it’s a mobile device, wearable gadget or home automation system, hackers can exploit any sort of security vulnerability. Don’t think that the latest payment technology has reckoned all of its security flaws. Preserve your personal information by following some basic security measures like encrypting data, having a strong password, changing the passwords frequently, using two-factor authentication, installing the software updates promptly and shopping only on the websites that you know are safe. Phishing scams are the scams where an email or website efforts to steal information from you. They may have been around for years and are probably not walking out anytime soon. Phishing is an operational attack because of human error. You might be using software that blocks phishing emails, a legitimate email could still lead through. Just because you believe that you are protected, you will keenly open the email and the rest is history. There are numerous security concerns that can be sketched to the people you know. Such concerns can come down to a displaced employee, an ignorant family member of an employee who has had his/her personal device hacked. Human errors can be prevented with the help of basic measures like training of employees/ family members, data encryption and terminating the access to the employees who are no longer working with you. Tapping onto public Wi-Fi is an enjoyable perk when you are out and about. Public Wi-Fi is often on the risks of hackers that could access your unsafe data. To keep yourself protected, you should consider using a VPN and SSL connection. Also, don’t forget to turn off the sharing and Wi-Fi when these services are not in use. While some attacks like phishing have and shall continue to be a concern, you should also keep up with the latest security threats. The other potential threats may include chip and pin frauds, changing or manipulation of data, the rise of the IOT botnets and the attacks going back doors. Staying on the top of these trends and educating yourself about these trends can help you thwart the potential security breaches. Though you might be able to address some security concerns for personal or business accounts, companies involved with payments are also endeavoring to put any former security concerns to rest. Google Wallet has been around since 2011 and allows storing payment information like the credit card and back accounts. This mobile wallet allows you to quickly send and request money from anyone in the world and then cash it out at the bank. Google encrypts data using a Secure Socket Layer so that your full information is never displayed. Users are also required to create a PIN to access their wallet. And above all this, Google provides 100% fraud protection. It seems that Google Wallet is exceptionally secure. But, always remember that dealing with banks and credit card companies always leaves some door open for the some sort of security breach. In addition to taking on the crypto-currencies, Google Wallet might want to start to use biometrics as an extra layer of security. Released in 2014, Apple Pay gained a lot of traction among Apple users. Among the major highlights being that it is secure. Rather, Apple claims that all the payment transactions that are made only between the bank and the merchant. Apple has put in a lot of effort in making Apple Pay secure, but there have several instances where people have taken advantage of the security flaws. Be sure to follow all these tips as a part of your normal routine and learn to keep an eye out for the above mentioned vulnerabilities. It is not an erstwhile deal. With fraudsters and hackers continually developing the new ways to break into payment technologies, it is important to make sure that you look at the above tips as on ongoing process. While many technologies might have clogged the criminals in their tracks, the companies behind those technologies also know how to keep a cautious eye out because the fraudsters don’t give up easily. Meanwhile, don’t be afraid to use these payment gateways as they offer significant benefits and use the farthest security layers accessible. Spring is an application framework and inversion of control container for java platform. Java application can use framework’s core features but there are extensions for building web application on top of java EE platform. This framework doesn’t impose any specific programming model. Spring has relevance to the mobile application development company, spring allows usage of Framework in an android environment. Using REST Template , spring framework enable support for integrating spring social functionality into android apps. Inversion of control and dependency injection: These are basically design patterns used to remove dependency injection from code. They make the code easier to test & maintain.
. They make the code loosely coupled. Predefined templates: Framework provides templates for Hibernate, JPA technologies etc. So no need to write too much code. What spring does is? It hides basic steps of these technologies. Suppose in JdbcTemplate we don’t need to write code for exception handling, creating connection, creating statement, committing transaction, closing connection etc. we just need to write code for executing query.
. Loose coupling: All spring applications are loosely coupled because of dependency injection.
. Easy to test: Spring framework don’t require server to test because dependency injection makes easier to test the application.
. Light weight: This framework is light weight because of its POJO implementation. Programmers don’t inherit any class or implement any interface.
. Fast development : Dependency injection feature of spring framework makes makes java development fast.
. Powerful adstraction: It provides powerful abstraction JavaEE specifications such as JMS, JDBC, JPA and JTA.
. Declarative support: Spring provides declarative support for caching, validations, transactions & formatting. All these features are available in spring platform which makes it compatible for all java applications. If you run a business, don’t forget to try spring application. Hire Seasia experts to build spring application for you. 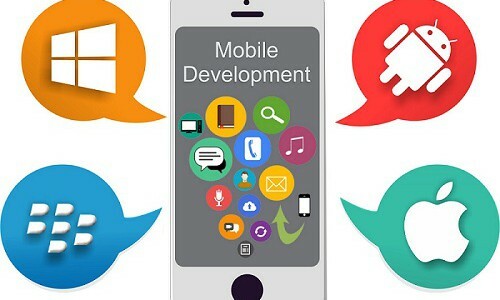 In today’s world outsourcing mobile development work can be quite easy if we use platforms where project managers and developers can interact just by creating their profiles . App futura is one of them where we can post project and developers can bid over that simply by creating developers profile. In case you’re a little organization without designers or perhaps a gathering inside of a huge association that can’t get any affection from the corporate advancement group and you require a portable application, where are you going to go? The entire procedure of interfacing with outsider designers, getting non-exposure assentions marked, getting offers, and selecting which engineers to work with is an overwhelming workload. Should you be in this specific boat, a service that launched last year, AppFutura, can help you. AppFutura connects projects owners and developers in a methodical manner making the versatile application advancement handle possibly less confounded and substantially more sorted out. Being an project manager your responsibilty is to make your application particular to as detailed level as possible could reasonably be expected and submit it to AppFutura which will, if obliged, help you clean your specs. Once the spec is prepared, you present your proposition and AppFutura courses it to qualified designers why should obliged sign NDAs. The AppFutura surveys the designer reactions and advances the main four for your audit. In the event that you acknowledge a designer’s reaction you escrow funds through AppFutura and if there’s any disagreement regarding the venture, AppFutura will go about as go between and resolve any issues. Joining a task as an project owner or developer is free in spite of the fact that designers can decide on Pro records (beginning at $7 every month) that makes you a “Checked Developer”, gives direct contact data on your profile, highlights your organization in hunts, alarms you in a flash of new ventures, and uproots all site promoting. Expert records likewise get dinged for 15% of task installments (this drops 12% for the top level of Pro records estimated at $36 every month). AppFutura claims a long list of happy project owners with as of now 1,270 dynamic tasks in the framework and 13,395 enlisted developers. AppFutura likewise gives a showplace to designers portable applications with, at present, 7,303 titles accessible. AppFutura is an great idea with, obviously, a great deal of excited designers joined and a ton of upbeat venture project owners who now have portable applications. In case you’re in a little business or a corporate gathering that needs to outsource or in any operation that doesn’t have the assets or specialized cleaves expected to handle versatile application advancement this could well be the solution for your supplications to God. If you are looking for such project managers and developers to build such a platform for you, our developers are just one step away .Discuss your project requirements here. In today’s world there is a growing need of mobile applications. So eventually the need of application developers has been increasing day by day. Since the people have started taking immense interest in mobile apps. Nowadays people not only use mobiles for making calls only, but for carrying out various activities. 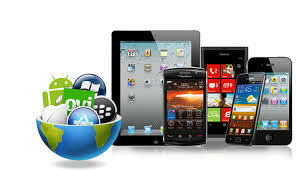 We can create mobile applications such as web browsing, fax, email, games and wireless information services etc. In order to create mobile apps, various elements are involved. Now the question arises that whether mobile applications are being developed in India , OR they are equally important in abroad ? Many companies outsource their mobile app development work to India. One of the most popular mobile software solutions includes mobile game development, mobile web development and mobile application development in Java and .Net. There are certain elements that are decisive in deciding what kind of a mobile application one should make. 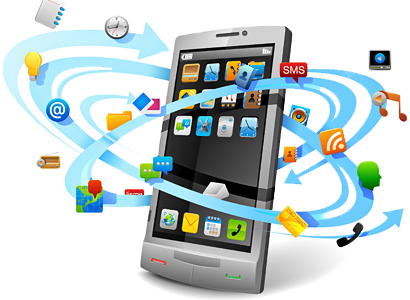 Things to consider while making mobile application or outsourcing mobile application development work. Platform: Mobile applications are different for different platforms, as one application can’t be made to run on all platforms. Every mobile application is unique and made to run on specific platform. For example an iPhone application can’t run on android and blackberry. Customer Base: While developing mobile applications it’s important to have an estimate of exact time (ET) and costing of application being developed. This is one of the important elements to be considered. In order to have an exact time estimation you can research competitors about their strategy followed. In order to get maximum return on investment it’s also important to launch application at the right time. You must ensure that, mobile development work should be outsourced to right people. No need of 3rd party people: Client will get all things in one place if he outsource mobile application development work to an outsourced company. Interactive medium: Hiring an agency provides you interactive medium i.e. You can communicate with your customer base. It is an interactive medium and mobile application developers can design, develop and customize the applications as per the client’s needs. Cost effective: It is also one of the most cost-effective ways of communicating with one’s target customer base. World-class software mobile application development is possible due to the expertise in technical and functional areas provided by the Indian companies who have in-depth knowledge of various industry verticals. In today’s life the innovation and discoveries have started at a fast pace in mobile development. It is difficult to select the most appropriate company for mobile applications. So we need to consider various factors before hiring them for our business. Below mentioned are few points that will help in finding best mobile application Development Company. 1.Experience and expertise in App Development: It is worth to do some basic search (like relevant experience, reviews, portfolios etc.) about a company before selecting them to develop your mobile application. 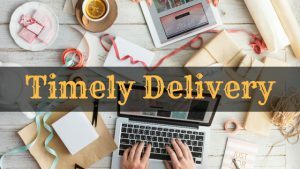 The company should have good reputation and can provide best services according to customer need. It is necessary to go through their track record and portfolios to see their success rate. 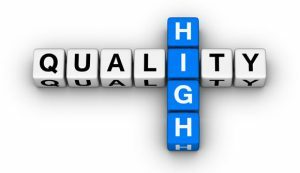 2.High quality services: The Company should have good experience and high quality work. They must be able to deliver whatever they have promised on timely manner. They should be up to date about new trends .The Company should achieve real result of budget and must follow a suitable procedure that concentrate hard on several crucial aspects like creating a very good user experience. The design and applications developed by them should enhance the usability and user experience as well. 3.Function with various platforms: The Company should be able to work on various platforms like windows, iPhone and Android etc. because it makes no sense to develop android version of an app with one company and Windows version with other company. They must be capable to work on all given platforms with ease. All the platforms have different requirements, so the company should be capable enough to provide good result on timely manner and they must be capable to meet all your needs while developing your app. In addition to this, If you have such professionals who can convert your website into an IOS application that fulfil your vision, then this will surely impact your business in a positive way. Likewise you can upload this iOS application to the apple store and let your customers start downloading the new app. 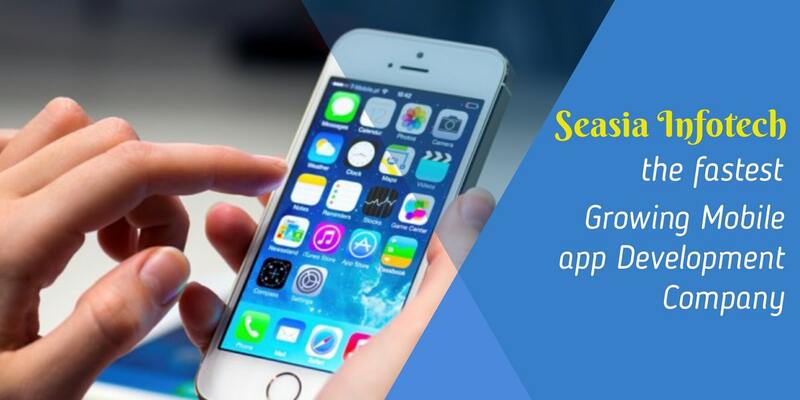 Make sure that the application you uploaded in the app store meets all of your customer’s requirements and should be easily accessible to users. Now these are some qualities which your outsourced company must possess. Apart from this you should consider various factors before deciding your outsourcing partner. Preparing the project requirements: Before handling your project to some developer you must do some homework regarding what you need and how you need it to be done. You can do this simply by making presentation and communicate your ideas clearly to the prospective developers. This will saves time in development phase. Budget: Deciding on your budget is very important before you plan further. It’s not necessary that high remuneration would be able to deliver the goods. Looking into the past projects and experience should be your deciding factors while outsourcing your projects. Taking all these things into consideration, you will be able to find reliable outsourcing partner who can work beyond your expectations.